You can ride your bike and recycle all you want but its nothing compared to the devastation that steak you were planning to have for dinner has caused. This week we discussed industrial farming. 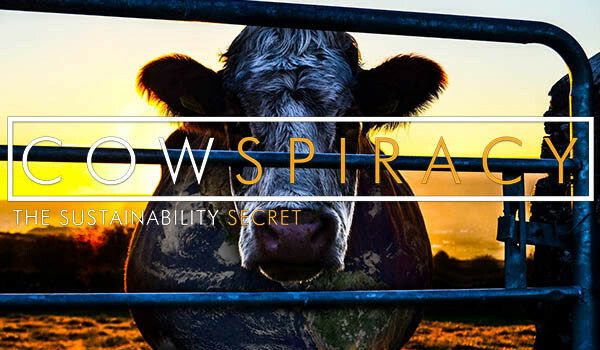 The other day I watched the documentary Cowspiracy by Kip Anderson (available on Netflix). Its an environmental documentary about what is arguably the biggest contributor to climate issues: meat, and everything that goes into raising that meat for human consumption. Kip Anderson pries into why no environmental groups (Greenpeace, the Sierra Club, Ocean Conservancy, the list goes on…) won’t address this huge issue. 1 quarter pound of beef requires 660 gallons of water to produce, so then why will environmental groups tell people to take shorter showers but they wont tell you to stop eating meat? Those 660 gallons of water are the equivalent of showering for 2 whole months! I could tell you all the details but instead I recommend you watch it for yourself, and don’t worry, its not the kind of food documentary that tries to gross you out.